As the end of November approaches, it’s time to start thinking about winter weddings. 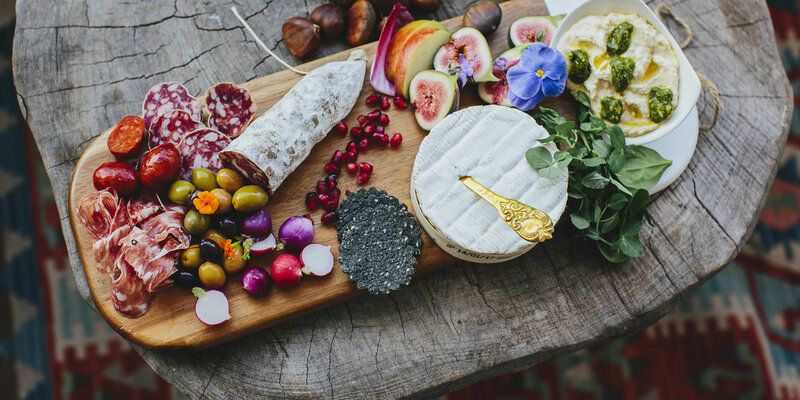 We’ve got some gorgeous winter weddings in the calendar over the next couple of months, and we can’t wait to see some of these top food trends in action. Whether you’re getting married this winter, or are after some inspiration for next year’s winter wedding, here are some of the best food trends to look out for in 2018. With the weather turning colder, we’re all about the comfort food. Leave your guests feeling warm and cosy by serving up mini versions of classic comfort food dishes as canapés at your winter wedding. Think things like macaroni cheese bites, mini Yorkies with roast beef, grilled cheese crostinis or mini pork and apple pies. Whatever your favourite comfort food is, work with your caterer to create bitesized versions that will go down a treat. Soup is always a great choice for a starter at winter weddings but over recent years it has fallen out of fashion. For 2018, it’s back with a bang, and this time the soups have got a gourmet twist. Try options like corn and prawn chowder with a drizzle of garlic-herb oil, celeriac, hazelnut and truffle soup, or courgette and leek with goats cheese and pumpernickel croutons. Serve with plenty of fresh, artisan bread for dipping. Vegetarian and vegan options are becoming more and more popular - so much so that some couples are choosing to omit meat completely from their wedding menus. Look for delicious, interesting and hearty veggie dishes that even meat-eaters will love, and you’ll be able to keep everyone happy with just one menu. We love dishes such as whole-roasted harissa cauliflower with pomegranate molasses and tabbouleh couscous, or vegetarian Wellington with herb roasted potatoes and honey glazed carrots. Another big winter wedding food trend for 2018 is wedding cakes that aren’t actually cakes. Rather than traditional fruit cake or sponge, the big trend this year is to use alternative foods to make a cake - think big stacks of waffles or pancakes, wheels of cheese, doughnut towers, or savoury pies piled up in tiers. If you want to have a modern wedding but still have a nod to some of the traditions, this is the trend for you. An unusual food trend for 2018 is black food, and it’s starting to appear on wedding menus for winter 2018. Black food looks rich and decadent, so it’s perfect for winter. Look out for dishes and ingredients like squid ink risotto or squid ink pasta, black sesame ice cream, charcoal bread and black velvet cake.